Today we introduced an old friend to a new experience, the motorbike joy that is the New South Wales Royal National Park. It’s always handy to arrange to meet someone for a ride, especially when the media is heralding the day as the coldest start of the year because otherwise it’s easy to get distracted and leave later than planned (or just stay in bed)! I received a text on Friday evening saying that one of my friends, Lorenzo, had passed his test so it seemed only right that we take him out for day. 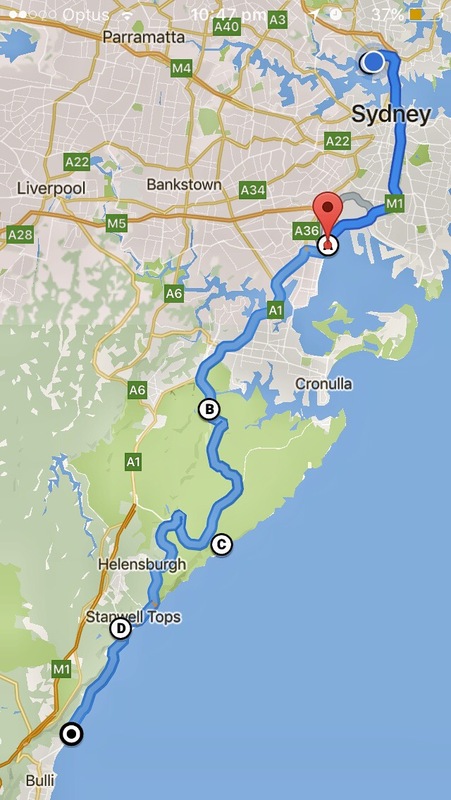 It’s winter in Australia which means that our best bet is to stay near the coast. Anywhere west risks snow and ice which is not a good thing when motorbiking for many reasons. I decided on south, it had been a while, so we arranged to meet near Brighton at 9 am. A crisp 6 degrees start meant I was layered up to the max, the clear skies promised an improvement to the day so I was all prepared with thin layers and gloves which could accommodate a range of temperatures. This didn’t stop my glasses fogging up as we left home (Pinlock on my visor prevents total fogging) but, thankfully, this cleared up as we got underway. We found Lorenzo at our planned meeting place, congratulated him on his new status and headed south turning off just past Sutherland into the Royal National Park, the second park to receive National Park status in the world (after Yellowstone). This park is great for motorbikers, both novice and experienced, the surface is close to perfect, the curves are varied, but not too tight, and the speed limits mean that the chances of a newbie being hassled by other motorists are low. 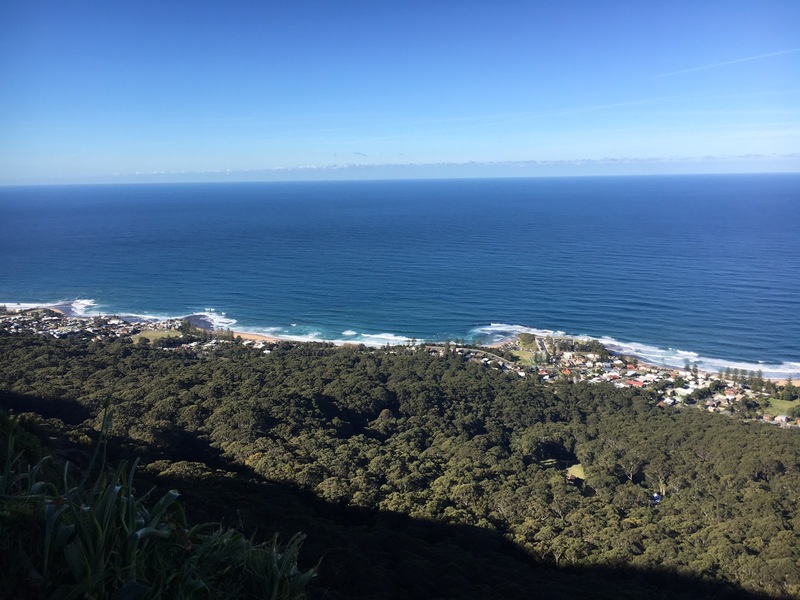 The scenery is stunning, temperate rainforest lines the road in certain places, gums on others and, at one point, the road also rises above the tree line to provide lovely views of the ocean to the east. 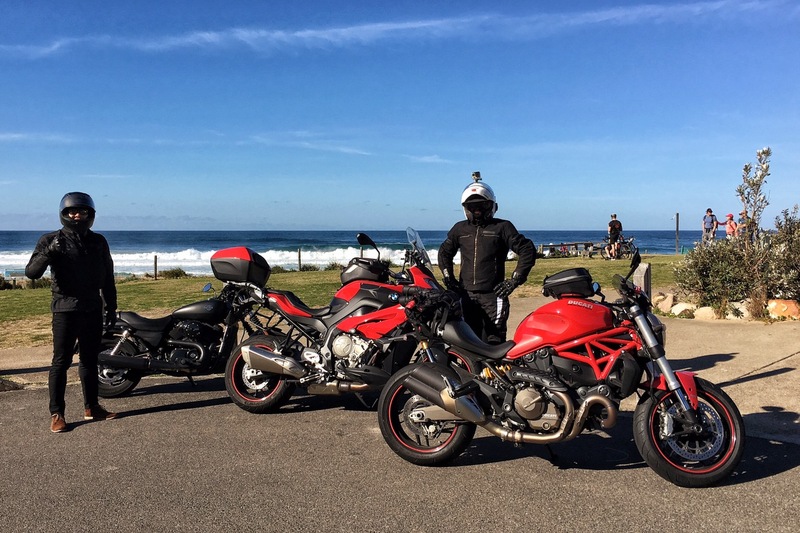 We took a side trip down to Garies Beach (we call it Gary’s beach, just because, but I believe it’s pronounced ‘gair-ries’ ) to check out this little gem and to take a few fabulous shots of the bikes! The road down is actually little hairy, tight and descending – upon stopping, Lorenzo shared that it had been his first time on roads like this so he had taken it slow and got down in one piece, first time for everything – soon he’ll be ready for Jenolan Caves (see previous post and the concept of switchbacks!). Back up the top of the ridge, we took in the view across the ocean, spotting humpbacks heading north in small pods, a truly magical sight. 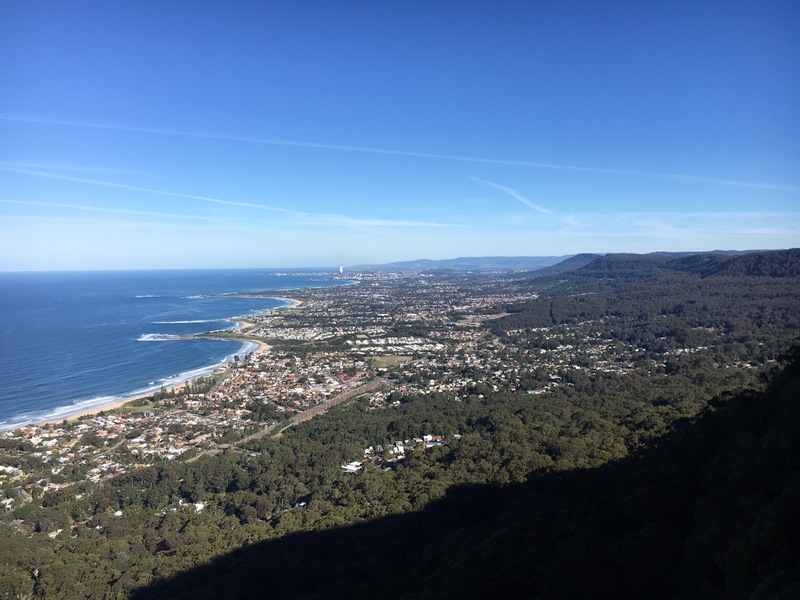 Next stop was Bald Head Lookout, which was heaving, packed full of daytrippers on two and four wheels taking in the ocean view to the south, the distant city of Wollongong and nearby Seacliff Bridge. Lunch was at the Headland Pub (along with everyone else!) before we ascended the ridge to take in another magnificent view from Sublime Point. Our return home was a reverse of the trip down, an opportunity to appreciate the view from the other direction. After a great day of riding, everyone arrived home safe and sound, very pleased with themselves for various reasons; me, because it’s been a while (work and a sore back has interfered in my fun), Gary just because he loves it and Lorenzo because he’s just completed the longest ride of his motorbike life so far (circa 200km) and, I’m guessing, he’s caught the long day trip bug!